UPDATE: THANK YOU! WE'VE HIT A HOME RUN! The goal has been reached! As of November 1, this fundraiser is closed. 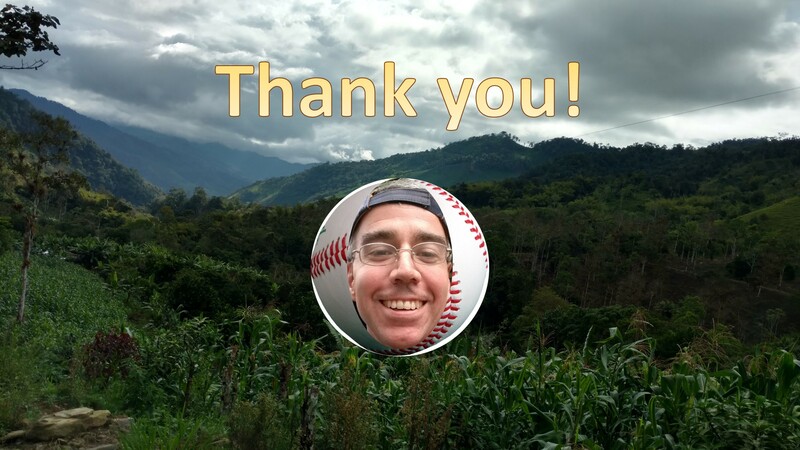 I'm looking for help getting me to Ecuador to continue in the mission of turning barriers into bridges in Ecuador and the USA as brothers and sisters in God's family. Help to hit me over the wall, and share in the mission! Plus, for those who give early, choose a gift of Ecuadorian artisan crafts to receive. And, I'll dedicate 10% of your gift to help fund a new outreach ministry to those most in need when I arrive. Barriers To Bridges is working toward having 501(c)(3) tax-exempt charitable status in the future. Your gift today is greatly appreciated and needed, and will be used fully for our efforts, but it does not qualify as a deductible charitable donation for tax purposes. B2B recommends checking with a qualified tax accountant for your planning purposes.